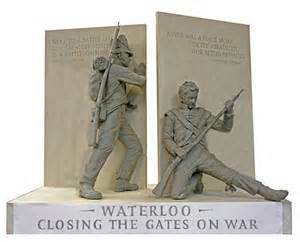 Two hundred years ago last month, the battle of Waterloo was fought in what is now Belgium. On Sunday, June 18, 1815, the French Army fought the forces of England and Prussia. By around 8 p.m. Napoleon Bonaparte, the emperor of France, knew he had lost the battle as his overwhelmed troops began to retreat. 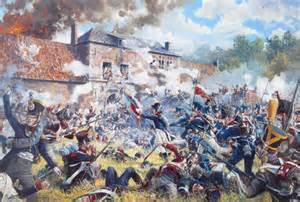 The battle was one the costliest of the French revolutionary and Napoleonic Wars. The casualties were massive, the English lost 17,000, the Prussians 7,000, the French 26,000. The battle put an end to Napoleon’s amazing career which included a climb from second lieutenant to emperor. Napoleon’s rise to power occurred in a France ravaged by revolution. In the late 1780s, France sorely lacked an efficient food distribution system. Its tax system was said to arbitrary and antiquated, its aristocracy uncaring and aloof, the government short of funds. The harsh winter of 1788- 89 brought hardship, it was the coldest in 80 years. Later during the growing season, a large hailstorm destroyed the corps in central France. This agricultural setback was followed by a severe drought that stunted the country’s crops, reducing the harvest. As a result of the natural disasters, a sizable part of the population was out of work, in debt and hungry. In the resulting social turmoil, bread riots began to spread. As royal authority dissolved and civil authority deteriorated, a furious mob captured the Bastille on July 14, 1789, slaughtering its defenders. As the revolution gained traction, it became bloodier, King Louis XVI was sent to the guillotine on January 21, 1793. Queen Marie Antoinette was guillotined on October 16, 1793. One result of France’s bloodstained revolutionary course was that the country would be almost continually at war from 1793 to 1815. Born on the island of Corsica, Napoleon harbored many anti-French views until around the age of 20. French was actually his third language, he learned to speak it at the age of nine in boarding school. In 1785, the opportunistic young man displayed early signs of administrative competence. He completed the French Army’s two-year artillery program in a year and was commissioned a second lieutenant at the age of 16. During the revolution’s chaotic Reign of Terror, Napoleon was imprisoned on suspicion of treason. At a time when the guillotine was worked overtime, he was lucky to be released for lack of evidence after spending 11 days in prison. 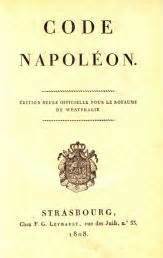 From an early age, Napoleon identified with the ideas of the Enlightenment and was inspired by at least some of the ideals of the American Revolution. When George Washington died in 1799, Napoleon ordered France to observe 10 days of mourning. Fighting on the side of the revolutionary forces at the battle of Toulon in 1793, Napoleon won a victory. He was promoted to brigadier general at the age of 24. From 1793 to 1815, he would compile an impressive military record of 48 victories, seven defeats and five draws. Napoleon had political ambitions, he crowned himself emperor in 1804, turning the French Republic into the French Empire. In 1812, Napoleon invaded Russia with an army of 422,000 men. Although he captured Moscow during the campaign, his once vaunted army staggered out of Russia with only 10,000 survivors. As a consequence of the Russian disaster, Napoleon was forced to abdicate, exiled to the island of Elba in in May 1814. Knowing that the bumbling new king was in political trouble, the ever ambitious Napoleon suddenly returned to France on March 1, 1815, forcing the king to flee. As he reassumed power in Paris, England, Russia, Prussia and Austria vowed to crush him. The result was the battle of Waterloo. 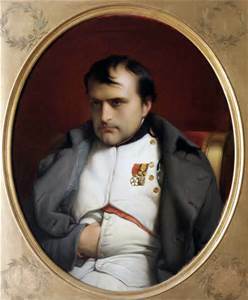 After his defeat, Napoleon was exiled to St. Helena, dying there at the age of 51 in 1821. At the height of his power, Napoleon ruled 70 million people. His many worthwhile domestic reforms included the Code Napoleon which put 42 complex French legal codes into a single, comprehensible body of French law. About 25 percent of the world’s legal systems are currently based on the Napoleonic code. Napoleon greatly influenced the development of America. In 1803, he sold the large territory known as the Louisiana Purchase to the fledgling government of the United States. He is one of European history’s most captivating figures, 300,000 books have been written about Napoleon Bonaparte. Next articleWho, us? Punish abortion doctors? Perish the thought! As usual, very interesting! 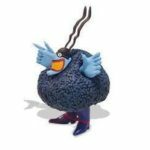 Thank you for posting it.